I was going to write about the 1996 Chris Hammond card awhile ago, but it got lost in the shuffle. Over Thanksgiving, I was at my parents house and rummaged through a few boxes of old cards and stumbled upon this 1992 Studio Club card of Hammond that seemed equally interesting. As the Spice Girls said tonight is the night when 2 become 1! At first, my inclination with Hammond was to prove another sample size issue that was frequent in baseball as little as just 14 years ago (see also: Johnson, Mark). It is in fact true that Hammond posted a pretty nice slash line in 1995 (.271/.364/.375) – a line that would make Russell Martin blush at this point. He also hit one of the four HRs of his career that season. 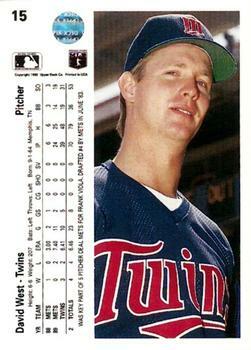 Oddly enough he hit two dingers in 1993, his slash line that year: .190/.292/.317. So what happened in 1995? Hammond got a pitcher’s typical 40+ ABs, and anyone can look like Mickey Mantle in 48 ABs. When you blow out Hammond’s career (238 ABs) you get a typical pitcher Mendoza-line triple slash: .202/.285/.290. The lesson, as always, one season and a scant number of ABs does not make a career. Other than his 1995 year at the plate, it was an altogether forgetful career – think of him as a Rheal Cormier doppleganger, or if you prefer akin to Dan Schatzeder (who loves home video!). However, personally, he seems like an interesting dude. Like Mark Johnson (see above link), he has an affinity for deer. He also, oddly enough, collects matches. I assume this should read matchbooks. Right? I mean there is nothing different about matches, they aren’t snowflakes. Now, matchbooks can remind people of where they have been and the histrionics that ensued somewhere. I still have a matchbook from a formal in college, for instance. 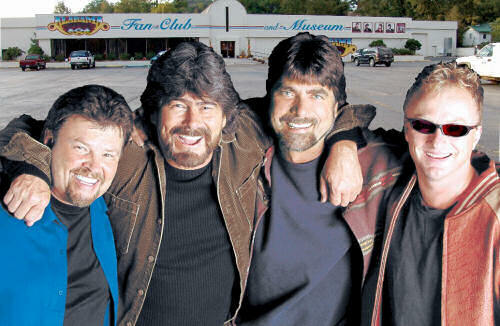 Lastly, I assume Hammond is a fan of the band, Alabama — and really who isn’t – not the state. The band has some phenomenal songs paired deliciously with fantastic beards. Although, Hammond did live in Birmingham, so maybe he’s just a fan of the state. That’d be kind of odd – maybe they have a lot of matches there? Or at least some choice match factories? Speaking of odd things and Hammond: only 20 times has a lead-off home run won a game 1-0. Hammond, on September 14 1993, gave up a lead-off round tripper to Carlos Garcia. The Marlins lost 1-0 and Hammond joined Walter Johnson, Frank Tanana, Gaylord Perry, Randy Johnson and others in the record book as the only pitchers on the losing end of this type of a game. Holy crap, Willie Wilson was a freak athlete. I wasn’t really recruited for any sport, so I don’t know how many scholarships real athletes receive, but 200 seems like a ton especially because there are currently only 211 Division-I NCAA baseball teams and most go pro in something other than sports. But baseball wasn’t Wilson’s only sport. Clearly he had the build (6’3 and 190) and speed (668 career SBs) required to succeed at multiple sports. In fact, according to Wikipedia, he was a three sport star from Summit, New Jersey (the hometown of several of my college buddies, let’s call them Lippdale and Roni or Kevo and Timbo).